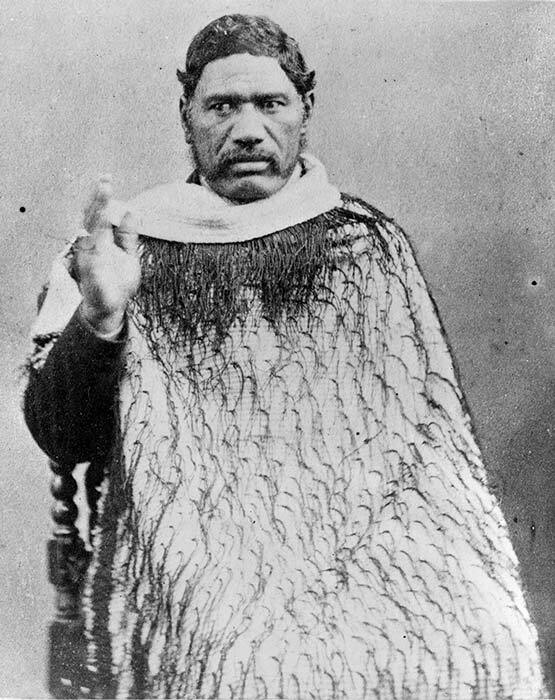 Te Ua Haumēne, one of the best-known Māori prophets, raises his right hand in this photo from the 1860s. He is wearing a korowai, a traditional cloak. Te Ua had been baptised Horopapera (Zerubbabel) in the Wesleyan faith, but changed his name to Te Ua Haumēne (wind man) because he communicated with God on the breath of the wind (hau). His faith was known as Pai Mārire (good and peaceful). His followers became known as Hauhau.